A new software update has been released for your Nokia X3-02 device. The firmware 06.00 brings new swipe features and other performance and usability improvements. This software release comes with some new swipe features. You can unlock your device by swiping from left to right. When on the home screen, you can open the Collection view by swiping from left to right, and the Games view by swiping from right to left. This release also brings other performance and usability improvements. To get this software through your device, type in *#0000# on the home screen or go to Device Manager. Select Options > Check for updates and follow the on-screen prompts. Alternatively, this software release is available through the Nokia Ovi Suite. 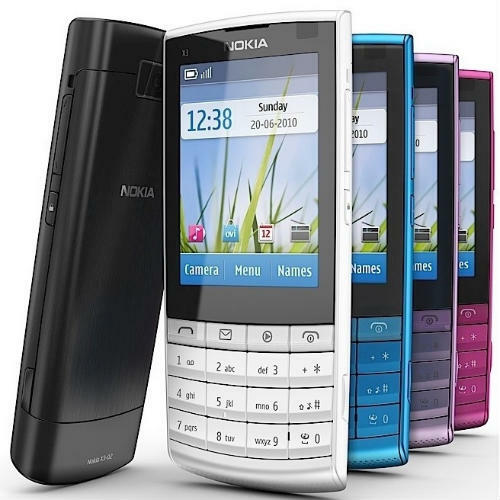 As a reminder, Nokia X3-02 features a 2.4 inch touchscreen with 240 x 320 pixels resolution and 5 megapixels camera without LED flash technology. X3-02 is available in White Silver, Dark Metal, Petrol Blue, Pink, Lilac colors, support XviD videos and the social networking apps Facebook and Twitter are available. Also, the phone has a Wi-Fi b/g/n connectivity. The dimensions of X3-02 are 106.2 x 48.4 x 9.6 mm and only 77.4 grams weight.